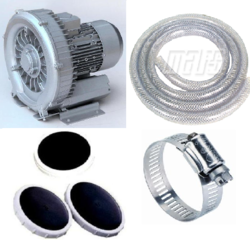 Pioneers in the industry, we offer pond diffuser ppa-dd-12, aquaculture aeration system, fish farming protein skimmer, pond and lake aerator, rotary biological contractor and re-circulatory aquaculture system from India. We Offering for Pond Diffuser PPA-DD-12 for Fish farming, acqaculture and pond aeration systemto our client. 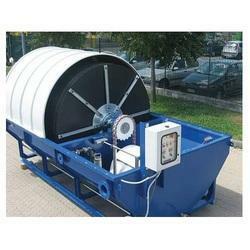 Aquaculture pond aeration is vital to the vigorous health and vitality of fish. Without enough oxygen, fish become stressed and their growth rate slows. Additionally, the lack of oxygen at the bottom of the pond will allow the build-up of fish waste and other organic nutrients. As this material decays, it leads to the build-up of toxic gases which are harmful to the fish. Paddlewheels and surface aerators do not address these problems or correct them. So we can use diffuser aeration system for better aeration and better result foe best growth of fish and aquaculture. Protein Skimmer is the best filtration that physically removes organic compounds before they start to decompose and hence decreases the load on the Bio-filter. A protein skimmer is constructed in a tube or tower design and has a collection cup at the top. 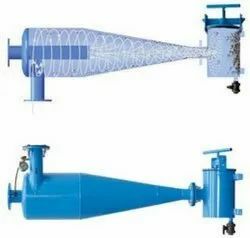 The skimmer works by injecting Massive number of very fine air bubbles into the tube by the means of using either air stones or high pressure water pump. We Offer Pond And Lake Aeration System to our clients. We are manufacturing supply, installation testing & commissioning of sewage & wastewater treatment plant. 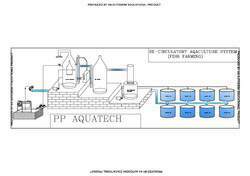 RECIRCULATORY AQUACULTURE SYSTEM (RAS) can be defined as system integrating of waste products with Bio filtration. RAS is composed of two primary parts, the biological unit responsible for the biodegradation of the waste compounds and the Bio media for the physical separation. We have adopted out-of-system ras for its advantage of having single tank process and no human contact operations. The RAS based aquaculture treatment provided by us is configured for air-lift and cross flow operations. 3. dissolve oxygen maintain in smaller foot print, 4. co2 release. 5. 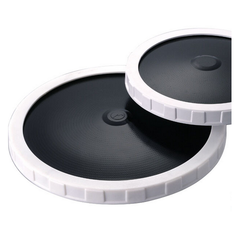 Adopt high strength easy cleaning, long lifespan to 5-7 years. 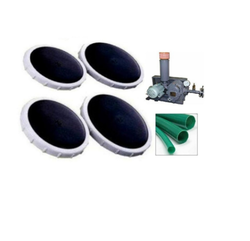 We are manufacture and supplying of all equipment like protien skimmer, drum filter, bio filter, aeration system, oxygen cone, uv system, ozonation. Body Made Of Reinforced Engineering For Durability. Hydro Dynamically Designed To Create Maximum Centrifugal Action. Dirt Can Be Easily Flushed Out Through Drain Port. Collector Chamber Can Be Easily Cleaned By Opening Collector Cover. SS Lock Used To Open / Close Collector Cover From Collector Chamber. New Stand For Height Increase. Bottom Of Cone To Avoid Wear Due To Strong Sand.